Hormel Foods has supercharged its newest growth engine — the Deli Solutions group — and looks to outpace the competition to the winner’s circle in the deli marketplace. Every vehicle that is driven, whether vintage or brand new, needs a tune-up now and then. Some vehicles benefit from a simple oil change and inspection, while others improve with the addition of high-end modifications or more powerful engines. The leadership of the new group heard Snee loud and clear, says Jeff Baker, group vice president, Deli Solutions. “The company has, for the first time, really put the resources against the deli and is demonstrating that we truly believe this is our opportunity,” he says. Yet, this was no spur-of-the-moment change. In fact, the wheels of this new vehicle had begun spinning long ago for Hormel Foods. As the deli and foodservice landscape has become much more competitive (consider take-and-bake home-meal replacement options, or the ability to get a meal in non-traditional places, such as a furniture and home goods store, for example), Hormel Foods prepared itself to make a move. The acquisition of Columbus Craft Meats in Hayward, Calif., was the final sparkplug for the new growth engine, allowing Hormel Foods to hit the road on this new adventure. 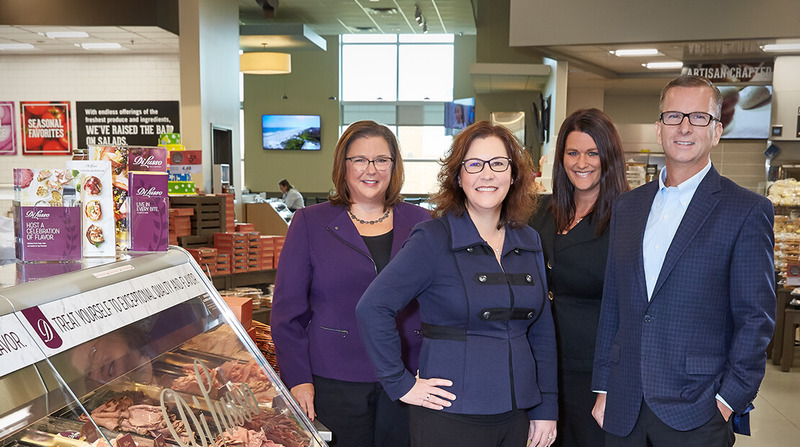 “We had talked several times throughout our company’s history about uniting our deli businesses, but there was never a strong strategic rationale. The acquisition of Columbus Craft Meats, which brought scale and closed the gap in our portfolio, became the catalyst to unite our deli efforts,” he adds. Like a well-machined custom part, Columbus’ product mix bolted on perfectly to the framework of the new group, says Holly LaVallie, director of marketing, Deli Solutions.